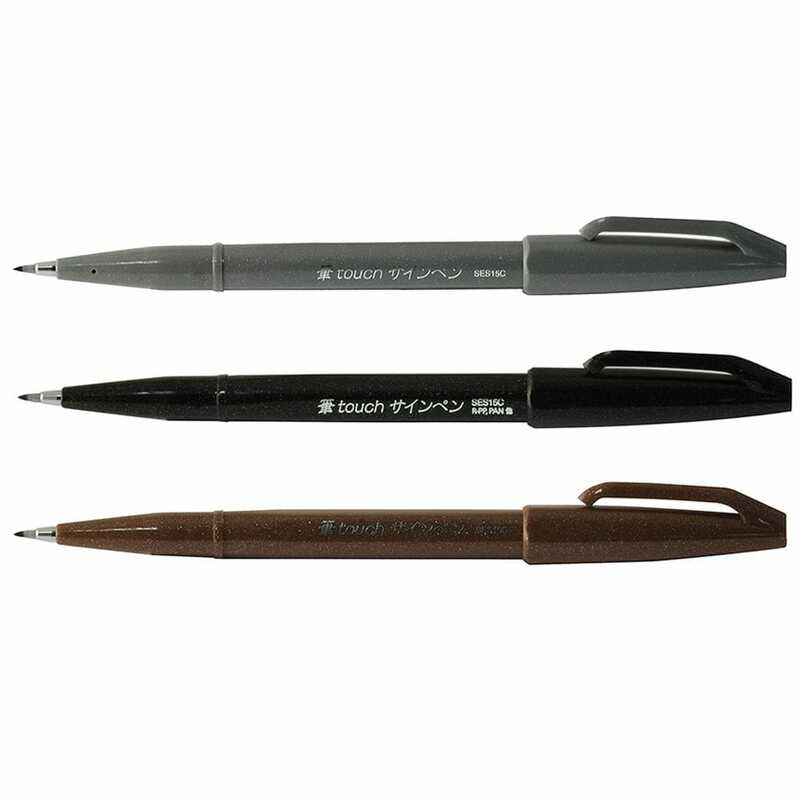 The brush sign pen has a glittery finish which makes the ideal to use for sign writing, illustrations, design and much more, the flexible tip is easy to use. The fibre tip is encased in metal making them perfect to use with a ruler when creating designs and line drawings. The brush pen can create fine and bold lines (0.5mm to 2.0mm) making them great for calligraphy and typography. Colours available: brown, grey and black.